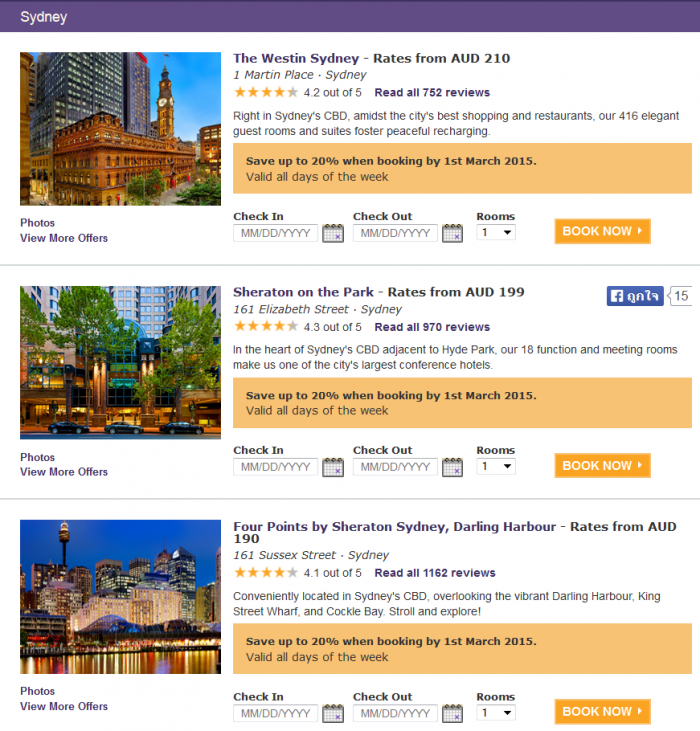 Starwood has launched up to 50% off Australia Pacific Summer Sale for stays in Australia, Fiji, New Caledonia and Samoa for stays until July 31, 2015. The terms and conditions state that this offer is valid for bookings made between February 16 – March 1, 2015, although the sale prices may have been loaded earlier. You can access SPG’s web page for this offer here. Note that at most properties the discount is less than the 50%. You can browse the country listing to find the discount that changes from property to property. Starwood advertises this as a Summer Sale but wouldn’t Winter Sale be a more appropriate headline? Regardless, should be worth checking the prices under this offer if you are planning to visit any of the participating properties during the promotional period. 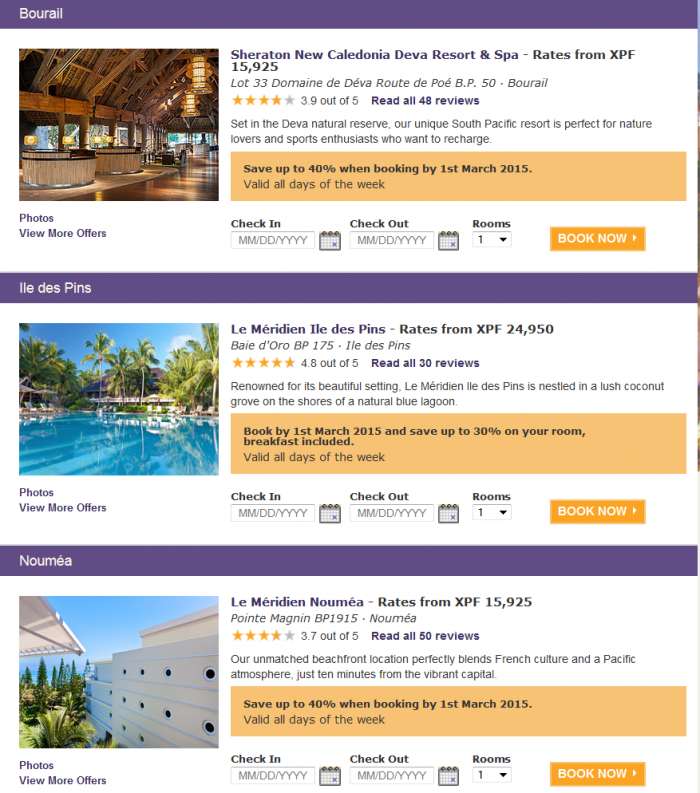 Offer is valid for stays booked between 16 February and 1 March 2015 and completed before 31 July 2015 at participating Starwood Hotels & Resorts in Australia, New Caledonia, Samoa and Fiji. Reservations cannot be changed, are pre-paid and non-refundable; if cancellation takes place, guests forfeit total room charge plus tax. Not responsible for omissions or typographical errors. Void where prohibited by law. Not to be combined with other offers or promotions.